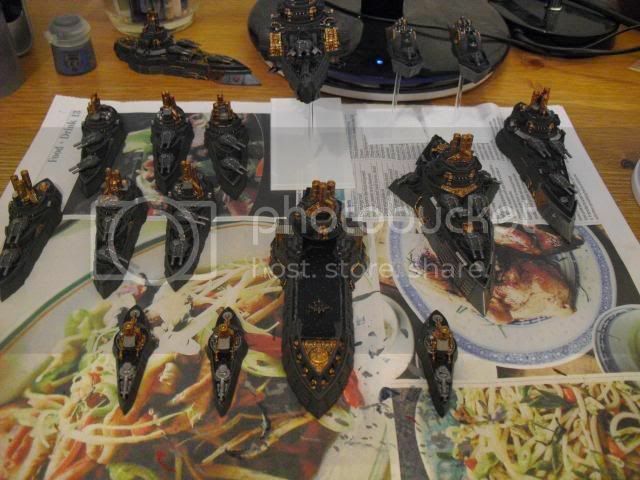 Well with the Cruiser still not clean I have started to fill in the gaps on the rest of the fleet but it is taking its toll on my will to paint. 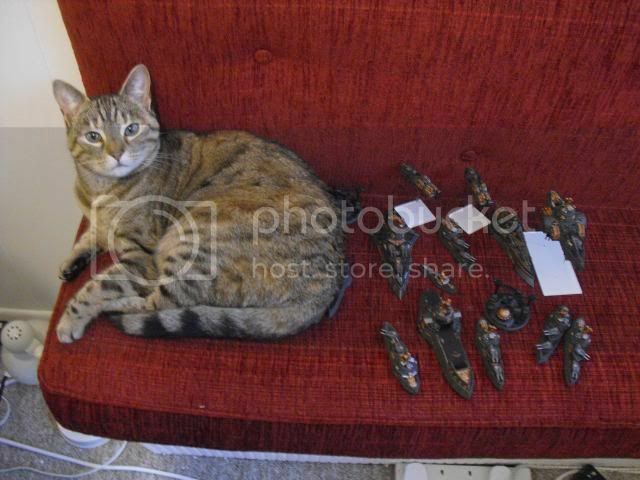 However my cat Bunny took offence to me putting my models on the seat (which is apparently hers now). Those poor sailors never stood a chance. I will remember them. The roll call of the lost reads 1 Battleship, 2 Destroyers, 2 cruisers and a Gunship. We shall avenge you, by refusing to pet her. Next up is the decking and then tidy it all up before the great washing event. So much to do. Oooh mysterious jar. What treasures do you hide? Oh yeah a Warlord titan and a sunken cruiser. Maybe the warlord has been in long enough, since September. Really should fish him out. Cats are evil, as for the Titan, such disregard for the emperors finest is heresy! Yes the titan should have come out. Not all cats are evil, just this one and she is on the super villan scale.